Ian, Robby, Sharni and Sheryn Woof and Luke Woof (right). THEY lost their son in a car crash, illness has cost dad his leg and their daughter is facing her own health nightmare. The Woof family has had more than their share of tragedy. But their burden will soon be eased, thanks to the generosity of Gladstone's community. While the Rotary Club of Gladstone Sunrise is holding a renovation rescue to ease the burden of medical bills, the family is coming to terms with a series of events that would break the rest of us. Sheryn Woof has been there as supportive mother and wife, holding the family together and even giving husband Ian a kidney that left him free of dialysis for 12 years. Son Robby has been through his own tough time; coping with everything the family has been going through. 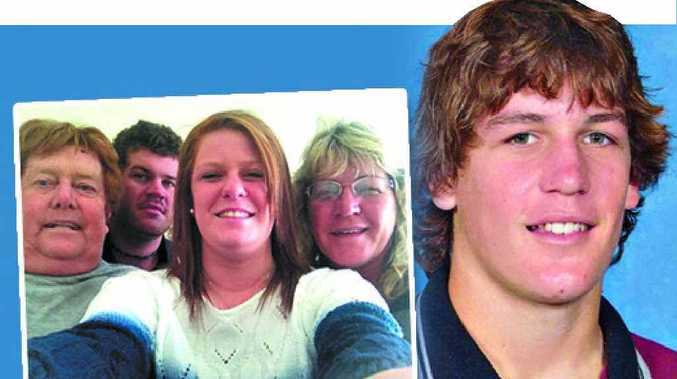 In January 2010 the family was devastated after losing son Luke in a car accident. Sheryn said it was the worst possible thing to happen to a family. "We lost our beautiful son and brother Luke in a car accident," she said. "This absolutely devastated our whole family and still does to this day." Six weeks later Sheryn's mum passed away after being sick for a long time. Ian is currently in Brisbane after he had his leg amputated, and will spend the next two months in rehabilitation and being fitted with a prosthetic leg. The doctors lost him three times but saved his life by giving him numerous bags of blood and had to take him back to surgery. It will be several months before he will be able to come home, and another few months while he learns to walk again. In February 2012 the family discovered daughter Sharni had inherited her dad's auto immune disease, polycystic kidneys and she was also diagnosed with Graves' disease of the thyroid. After 18 months of being constantly sick, she had her thyroid removed. But she still has to have regular check-ups to monitor her thyroid and kidney function. Although Ian was diagnosed with polycystic kidneys at 17, he lived a relatively healthy life until the age of 38. Sheryn told The Observer that he had a long two years on kidney dialysis after also having developed Addison's disease. "I was tested to see if I was a match to donate a kidney to Ian and found out I was, so we decided to go ahead with the transplant to give him a better quality of life and to be able to do things with his kids and just see them grow up," she said. She said his quality of life vastly improved. He didn't have to drive to Rockhampton for dialysis three times a week. But he still had numerous other health issues. He suffered two major heart attacks over six years and then, after surgery in 2011, he began to bleed internally. "The doctors lost him three times but saved his life by giving him numerous bags of blood and had to take him back to surgery," Sheryn said. In 2012 Ian had a triple bypass operation on his heart, and then multiple large skin grafts on his face and legs due to cancerous ulcers on his legs and basal cell carcinoma on his face. During the next two years he spent more time in hospital than at home. He went into theatre more than 30 times for many operations. Sheryn said the family was hoping to have Ian back home by Christmas, but only time would tell how he would recover. 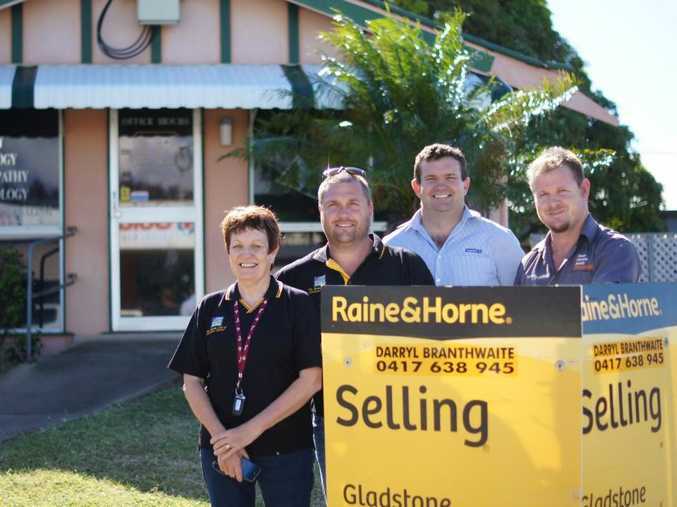 WITH the help of businesses around town, the Rotary Club of Gladstone Sunrise is pulling together to help the Woof family. Ian and Sharon Woof opened the natural health centre on Herbert St, Gladstone, in 1999, but decided to close it in 2013. 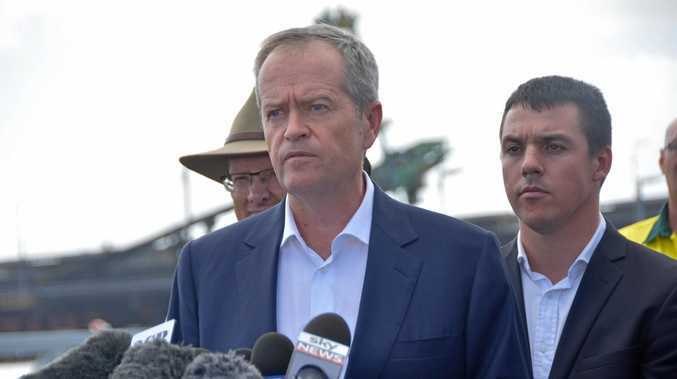 It was becoming a financial burden with medical bills coming in constantly for Ian's deteriorating health and being away in Brisbane hospitals so much. Mrs Woof said they had hoped to close it and sell the building, but that was almost two years ago. That's where Rotary has come in. Committee member Russell Groth said with the building in need of repair, they wanted to give back to a family who were such good community role models. "They've got this business property they've been trying to sell and it's in pretty bad nick," he said. "I've renovated a few houses myself and built a couple - it's not worth knocking down. "It's very liveable, with a nice big backyard in the centre of town." Mr Groth said the family was facing financial difficulty and the money for the property would help pay for medications and other hospital bills. "The place is close to derelict but we had one working bee so far to tidy it up and we have a plan," he said. "With the help of Rotary and people around town, we're campaigning to get this house in some sort of shape to help them out to sell it." Rotary is calling on anybody who can help provide time, trades or materials, from painters to carpenters, fencers, concreters and a floor sander. Phone Russell Groth on 0439 737 190 if you can help.